Good user experience (UX) design is based on evidence. Qualitative evidence, such as user testing and field research, can only get you so far, however. To get the full picture of how users are engaging with your website or app, you’ll need to use quantitative evidence in the form of analytics. Researching UX: Analytics, from SitePoint, will show you, step by step, how you can use website and app analytics data to inform design choices and definitively improve user experience. 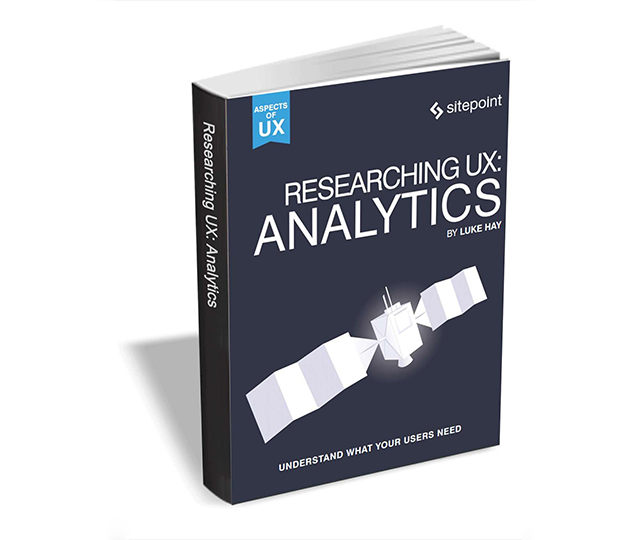 By the end of this ebook you’ll have a strong understanding of the important role analytics plays in the UX process. It will inspire you to take an "analytics first" approach to your UX projects. This book is for UX professionals, designers, product managers, and anyone interested in using an analytics tool to improve UX. No prior experience with Google Analytics or other analytics tools is assumed. Researching UX: Analytics usually retails for $30, but for a limited time BetaNews readers can get it free. All you have to do is go here, enter the required details, and click the Download Now button. The offer expires on May 22, so act fast.